Robert Perkins' newest release features a literal and visual look back at some of Oswego's major industries from 1870 – 1920. 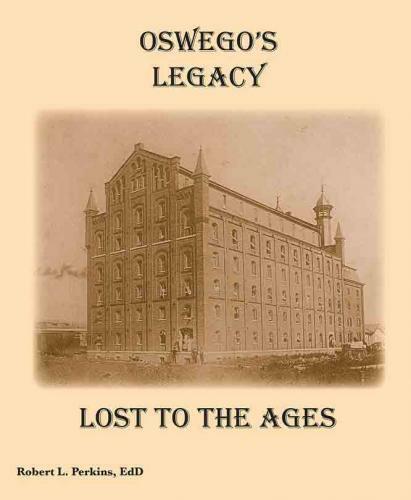 In Oswego’s Legacy: Lost to the Ages, Perkins presents a survey of fifty factories: the Kingsford Starch Factory, Diamond Toy Factory, Oswego Candy Works, Conde Knitting Mills, to name a few. Boiler makers, iron works, foundries, and lumber yards, the production of soy products, paper, and window shade cloth - readers will get a glimpse of the city’s vast industrial complex as well as the many talented personalities who influenced Oswego’s legacy. Bob Perkins, educator, administrator and author was born in Oswego and spent nearly his entire professional career in Oswego.